John’s father John Warner Harvey Ellis joined or bought into an existing company which was an estate office formed in 1877. He was a land agent but was also involved in some informal house sales. He had gone to Canada as a young man & when WWI broke out he joined the Army there. He became a Prisoner-of-War in Germany but survived the war. On returning to England he joined forces with his former clerk, who he always called ‘Old Mr Pretty’. John Jr was brought up in Old Amersham. He attended Merchant Taylor’s School and travelled there by train, leaving his bicycle at the station. He had intended to train as an engineer and was apprenticed to an engineering firm in Nottingham. With the start of WWII he joined the Ordnance Corps, later to become the Royal Electrical & Mechanical Engineers. At the end of the War he was 24 and decided to join his father’s firm. He studied at evening classes and by correspondence to become a qualified chartered surveyor. His father had offices in Amersham and Chesham. John worked in the Chesham office, at 56 High Street. There were only 2 rooms, with no lavatories, so the staff had to use the public conveniences at the Station. John travelled to work by bicycle each day and went home for lunch, which only gave him half-an-hour in the house. The firm later rented No.112 High Street (which had been a sewing machine shop) from the four Catling sisters who lived at Cherry Tree Farm, Ley Hill. They were already acting as Agents for the Catling sisters. When the last sister died Pretty and Ellis bought the premises and still own it but now Potter and Ford rent it from them. An early Amersham office was a very small building near the station. The building was moved later and became the garage for the Amersham premises. 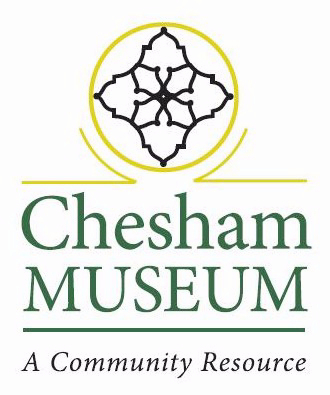 Originally there were no auction rooms at either the Amersham or the Chesham offices so when a house was sold part of the building was often used for auctioning furniture at the same time. All types of property were on the books, from large plots of land to substantial homes to modest Victorian terraced dwellings. John remembers selling the Bury Farm for Colonel Melville, a turkey farmer. This included land and estate cottages. At the other end of the scale, John advertised in the Bucks Examiner houses where ‘the WC is within walking distance’ (ie at the bottom of the garden!) or where the prospective buyer could ‘go to bed by candlelight’ (ie no mains electricity). He recalls houses selling in Alexandra Street and George Street for around £1100. After the Second World War the general house price for new houses was £1000 per bedroom. Pretty & Ellis were not the first estate agents in Chesham. There was already F E Howard, which later became Howard Son & Gooch. They were bought by Chancellors in recent years. There was also Brian Hames, where George David now trades. The solicitors they worked with were principally Francis & How and Blazer Mills & Lewis. In the 1950s John was the first Secretary of the Chesham Round Table. He was involved in some of the modern estates. He sold the land belonging to a chicken farmer, on which The Braid and Codmore Crescent were subsequently built. He also remembers selling the Portobello Arms pub at Chartridge, which was converted to a private house. Although he retired some years ago he still has very happy memories of his working life. John was born 1919. (Pretty & Ellis, estate agents). Interviewed late 2006.